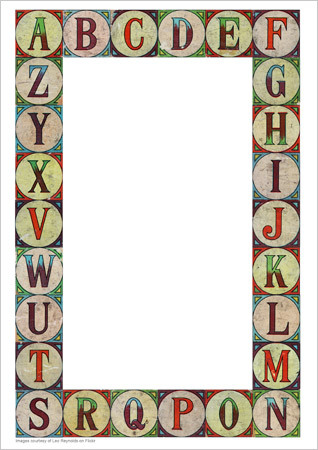 A really decorative alphabet border using pictures of vintage alphabet blocks supplied by Leo Reynolds on Flickr . Ideal to print and leave in your mark-making area or you could add a text box and use it to type songs, poems, keywords etc. Lower-case version also available.